8 Proven Ways to Get Authority Links to Your Site - Illusive Design Inc.
First of all what are authority links?! These are links from a website which have established a significant level of trust and authority with search engines, relating to their age, quality and size. There is no exact way to objectify authority like page-rank. No search engine suggests any public reference or guiding principle of what should an authority link be formed of. Authority sites are the sites representing established government, educational institutions, and large corporations of leading websites. If you are fortunate enough to get hold of one or more authority links, you will be bringing in excellent ranking power to your website. As valuable as they are, they are yet more difficult to obtain. You have to be extra patient while looking for opportunities to obtain authority links. An authority site ranks for everything related to exactly what it does. It doesn’t do this through keyword stuffing or clever file paths, rather only through collective knowledge of its users. As a result they get high number of authentic members. Because of all the web manipulations now-a-days, you need to work really hard to find authority sites. Just relying on the metrics to identify an authority link won’t really work for you. The prime key is to look for sites with regularly updated content and genuine users tweeting, commenting, and sharing it on different mediums. Second of all, if you have time you can look into the backlinks. These will let you identify the authority links, but once again, BE PATIENT! First and foremost, you need to provide contents that will benefit the users. When you create valuable contents in the form of blogs, ebooks, short reports, whitepapers or videos, your visitors will be able to link to them. Attach all the related and supporting information you have on the page. If you are providing superior content, you are expected to get quite a good numbers of quality links and social shares. If you are able to get good number of shares on social platforms, you will definitely get a few authority links. So to ensure your page goes viral, you can also leverage other people’s posts which were relevant to yours. You can avoid reinventing the whole blog or content. Take help from quality article and infographics that relates to your content and link to them and then add your own style. Don’t just copy and link back. Rather research the topic and add your own overview. Come up with unique and related headlines. Do not copy other’s headlines. If you are linking to or refereeing to other people’s blogs, try notifying them. This will help you to get additional backlinks and social shares. The best approach to attract authority links is writing content that is highly valuable. Your contents might have expert advice, detailed posts and well- reasoned arguments that will fill the gaps in the web information world. Since they will be defining you, it is very crucial to establish upfront what your site is going to focus on. You need to ensure that the readers can understand who you are and where you come from. About a quarter or less of your content should include stories about yourself. You need to figure out a balance between the foundation of the site and connection to your personal life. A small portion of your content can be made up of controversial posts. Choose topics that can attract readers, and explain something out of the box. You can use them for linkbaits purposes but they will also make sure your readers know who you are. While you build up your blog/site, you will find it very difficult to pick up a natural authority link. What you can do is, first have strong collections of content and then approach the authority sites and ask for links. Obviously you need to give them some strong reason to give you links. You can write about the author and thus keep them interested in sharing your published posts within their circles. You can also write something that might compliment or even critique their stories or something they did. The key is to attract bulks of responses. If someone shut down a website or pull web pages, all the links pointing to these documents will be dead. Any webpage which links out a lot will obviously have at least one or two dead links on the page. Broken links are dead links that will lead to a 404 error page. If your site has too many dead links, it will degrade you rankings and also result in site penalization. If you find dead links, make a list of them and then advance the author of those pages. You should focus on one author and offer several options for content. It would result in an administrative mess if you contact different authors for each broken link. Propose to them your own webpage as a proxy for the broken links. There are a few tools out there to find broken links. Use these tools to find broken links. Once you have made a list, write an outreach email. Focus on the benefits that your web page will bring the recipient’s readers, if they include your link. Contact the site owner by visiting the resource page and filling the contact form. Now remember at this point, everyone will not link back. Some might not even reply. So be patient and keep trying. Infographics will add great value to your contents. It is found in a study that contents with convincing visual representation of data can generate over 90% more clicks and views. Visual approach will allow you to better communicate the information to your visitors. If you are using visual approaches like images, charts, graphs, and diagrams, you will get more shares on social media networks. There are tools like OnlineChartTool.com which will let you create charts very easily. As you create charts based on experiments and results, you can expect other content marketers to use them and link back to you. While you talk to content publishers, ask them what content they are missing. You can offer to create it for them. It could be a video interview, a GIF, images, or even an idea. 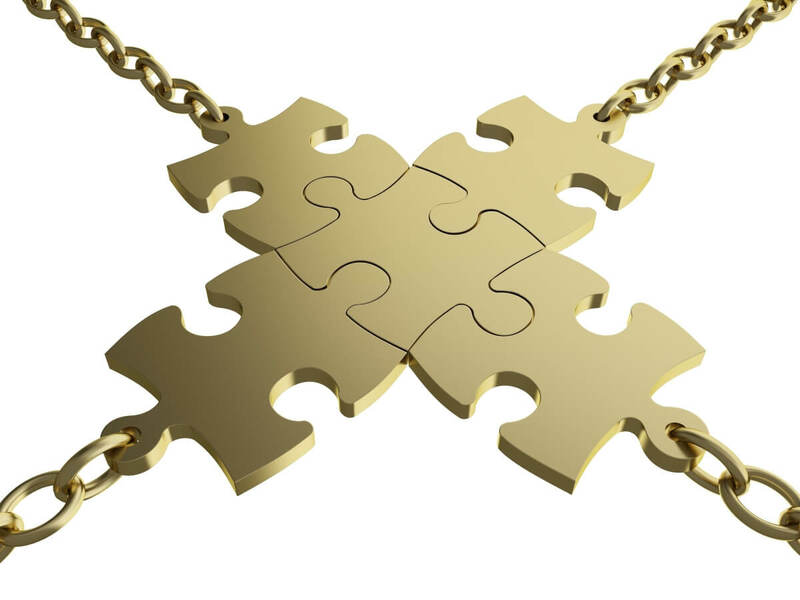 Once you create the content, they will give you the credit as a link bank to your site. Whatever content you are creating, make sure you do it professionally and it is related to your field. The content should attract people who are in your target audience. Creating content that doesn’t compliment your sector of work will result in wrong traffic to your site. Even for your site, include related and interesting visual objects. If those images and videos are good enough, other blogs might use them and link back to you. Besides, visuals will attract more visitors to your site and result in more share on social media platforms. Guest post is one of the most efficient content marketing strategies that will increase your traffic and let you get authority links. You need to have a guest posting strategy which is focused on building links, traffic and exposure through guest posting on selected relative authority sites. This will eventually help you pitch to the absolute authority sites. You should research well before writing a guest post. Know who you want to write for and pitch the blog owner. When you write the email, make sure to tell the blogger that you’ve enjoyed reading their post, and you’d like to build on their work. If you contribute to other’s blogs you are eventually driving fresh visitors and blog readers to your blog. This will help you to build your personal brand and you will build a relationship with other bloggers. Your search rankings will improve and comments on your blog posts will be increasing in number. One best way to expose your web content to the right audience is by partnering with existing influencers in your niche. When you are inviting influencers to publish content on your website, your content will be getting easy exposure to their current audience giving you more and more scope to build up followers. This is one very efficient way to generate web traffic and exposure. You can also publish content that feature influencers and share the content with them once it is published. If you can manage you should also try to interview experts in your niche. Ask them creative and related questions. One good tip is to use expert’s personal photos. Their interview or feature articles will get you more viewers and shares. There must be few strong competitors in your field, but instead of fighting them you need to outsmart them. Study your competitors to find out their competitive edge and learn their strategies that worked. If they got a few links from authority blogs, find out how they did it. Once you know where they are getting the links from, look for ways to get links from those authority sites. You could use broken link building guest blogging, blogger outreach, PR, networking, and several other link building techniques.